A reinterpretation of cement and stone as an essential element of architecture. Argenta Ceramica offer technical solutions for paving and cladding with many different finishes, looks and feels, making them highly versatile. An innovative proposition providing a range of design and composition options, which also meets the demands of modern lifestyles. 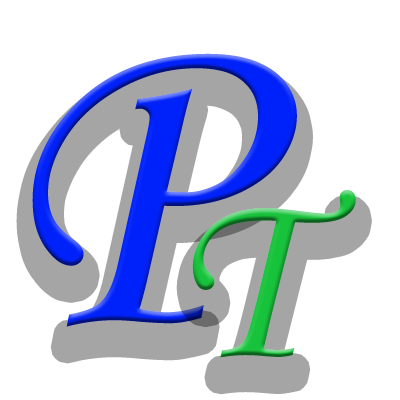 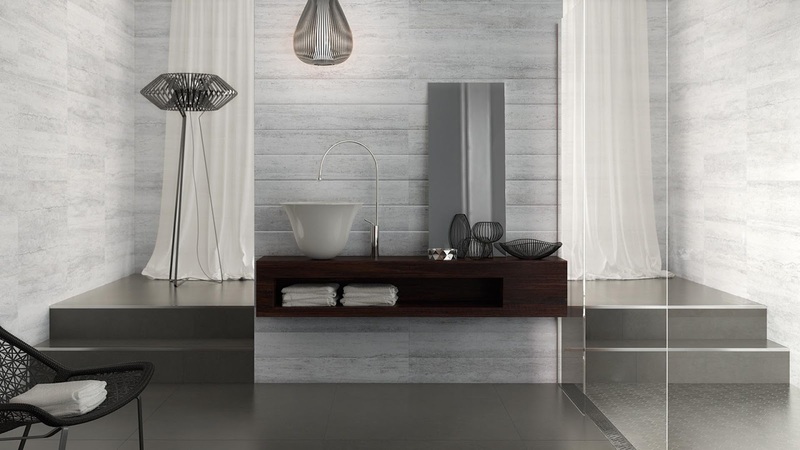 One of the main features of this product is its finishes: it is available in matt and semi-polished brilliant finishes. 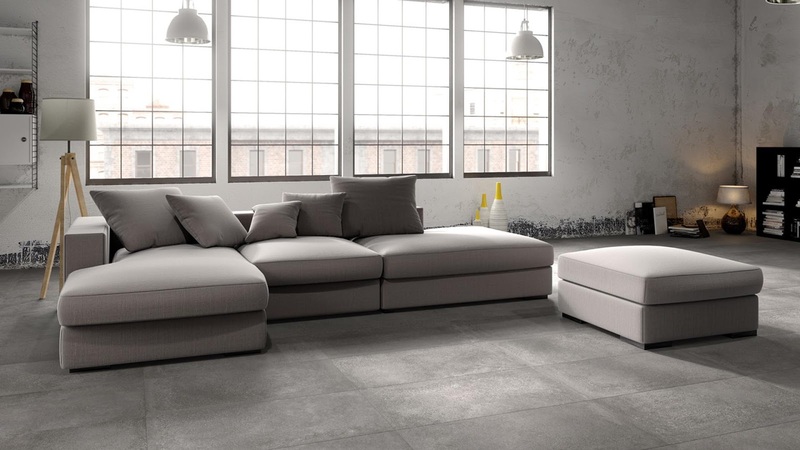 The brilliant finish on large-sized units is ideal for creating the spacious areas full of light demanded by the most sophisticated and minimalist of clients. 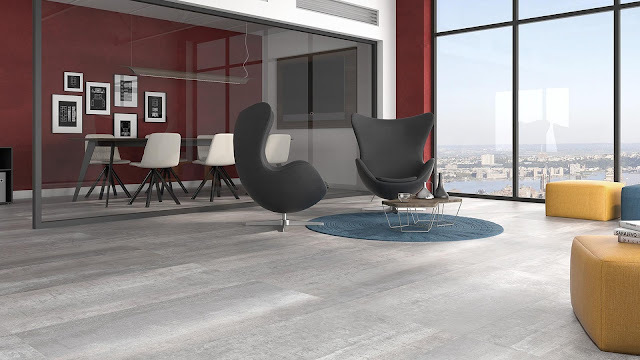 The matt finish is one of our most successful industrial products. 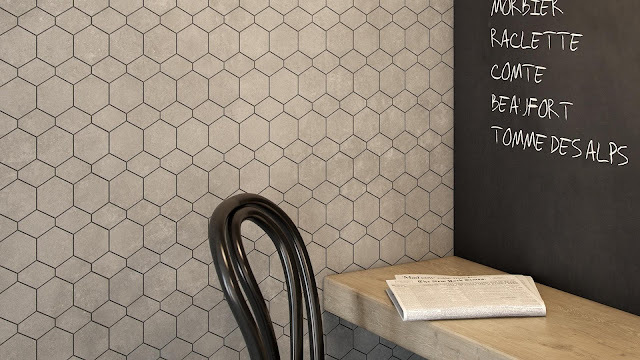 Atlas is a complete paving and cladding series that not only comes in many different sizes but also includes shapes such as hexagon and patchwork decorations to offer vast creative possibilities and full freedom of composition. 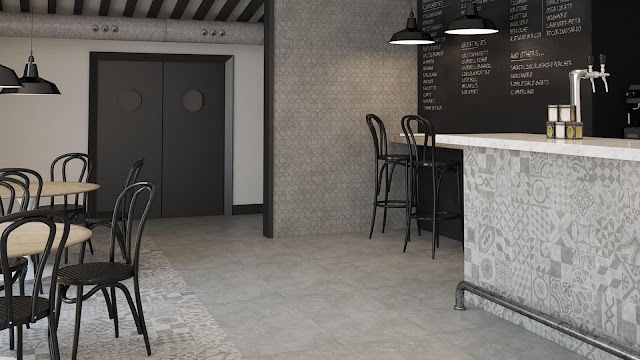 Hydraulic floors tiles are back with a vengeance with the renovation of former industrial premises. 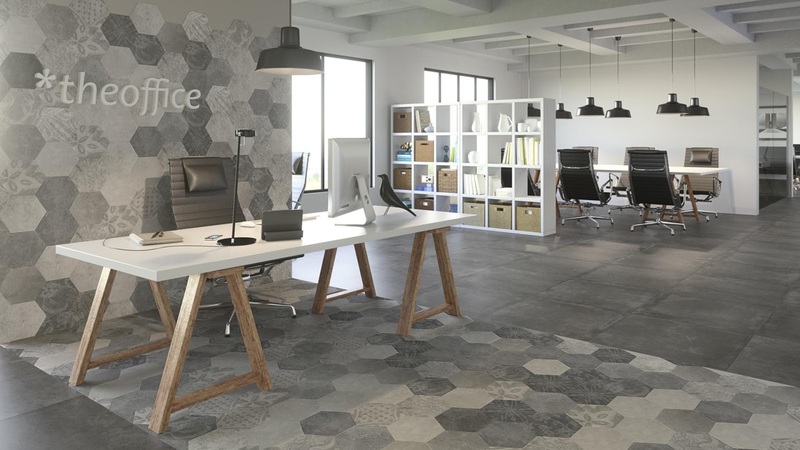 They were very widely used in the 19th century, when hydraulic tiles gave industrial floors a carpet-like appearance. 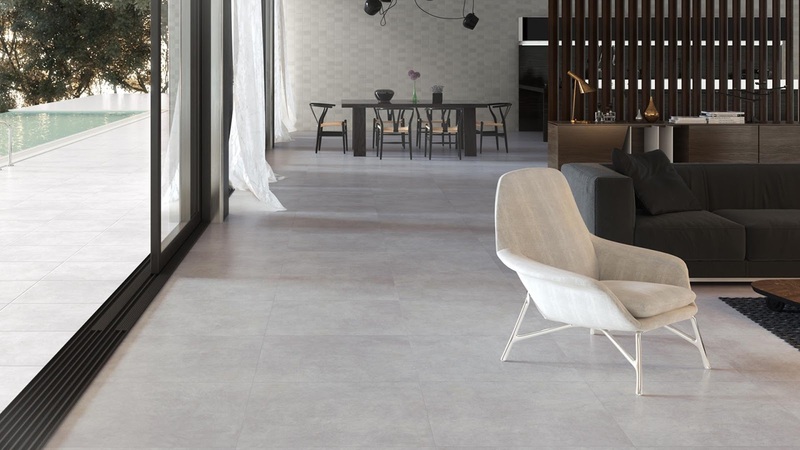 The Bronx series is a reproduction of those floor tiles whose value grows over time. 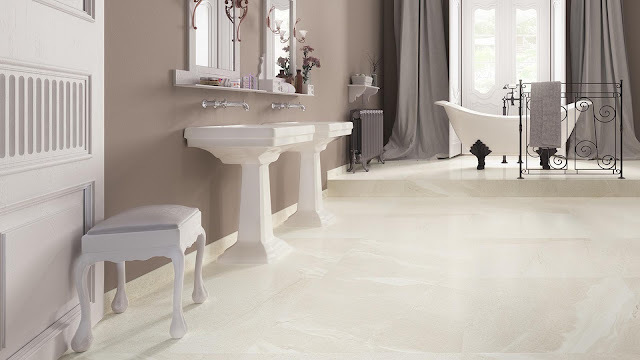 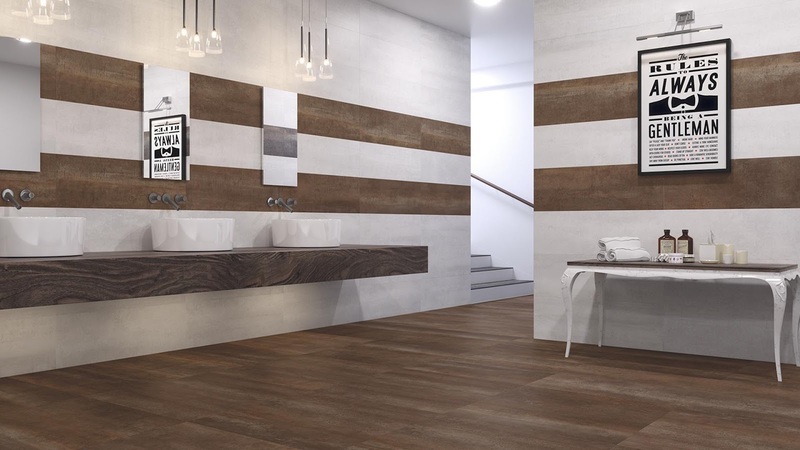 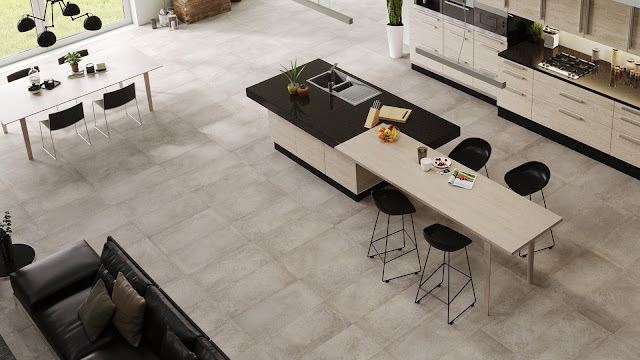 This collection of porcelain floor tiles is available in 60x60 RC and 45x90 RC rectified tile formats with decoration imitating the original hydraulic tiles. 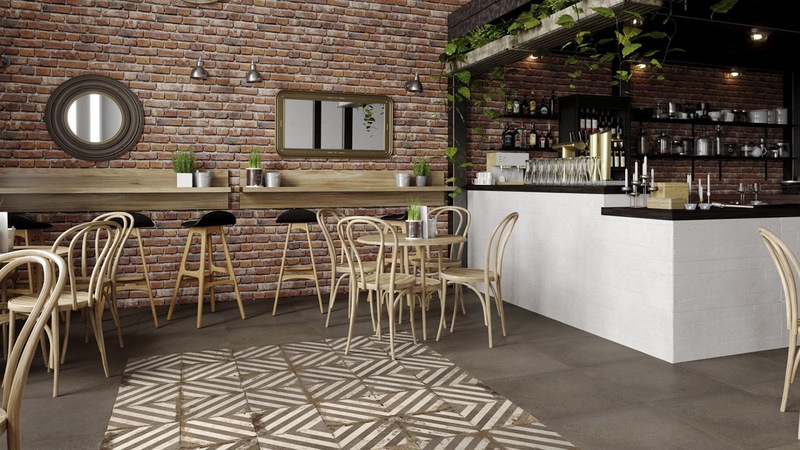 Renovate a space with brick effect tiles with that worn cement look: that is what the Bronx series offers with its 29.5x90 rectified white clay tiles and 25x50 red clay tiles. 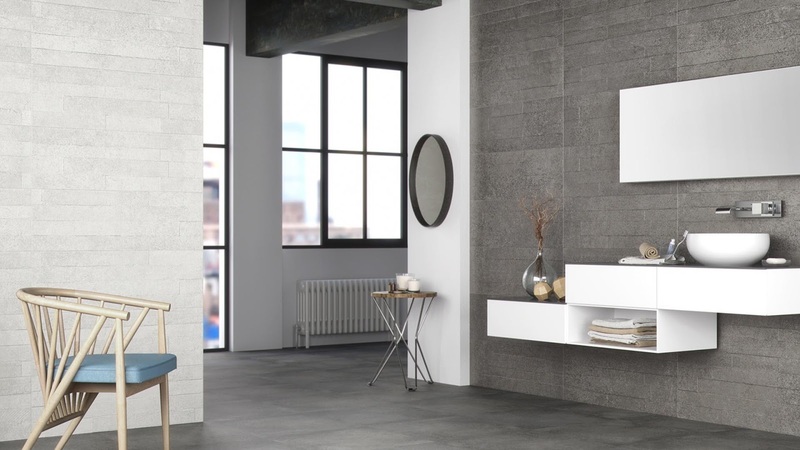 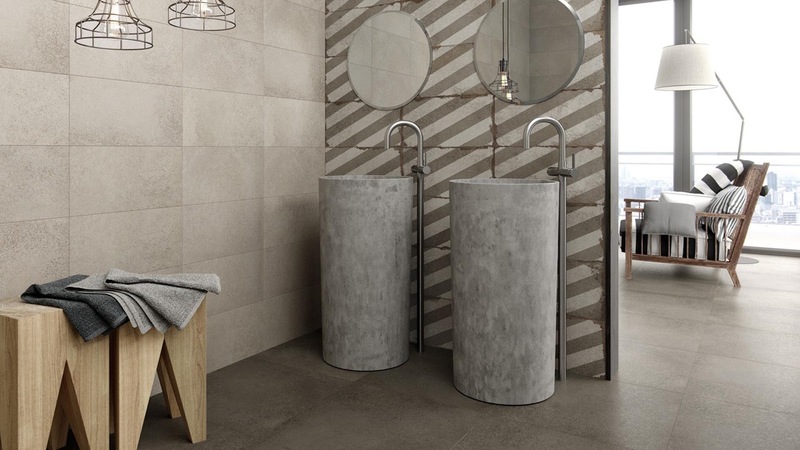 This modern twist on the contemporary industrial trend can be seen in our kitchen and bathroom wall panels with a brick effect to lend warmth, texture and that feeling of urban space. 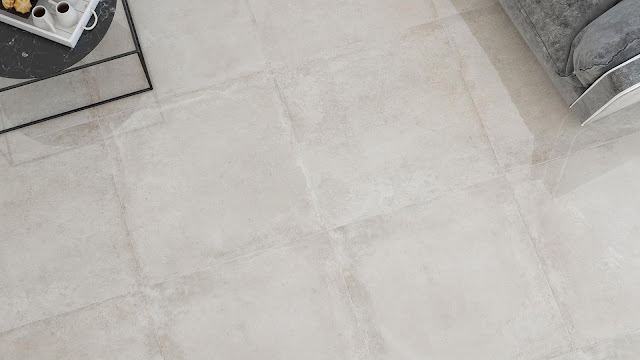 Concrete, as classical basis in building, is endowed with great style in Foster series, available in different sizes: 45x90 cm, 75x75cm, 60x60 cm and 30x60 cm. 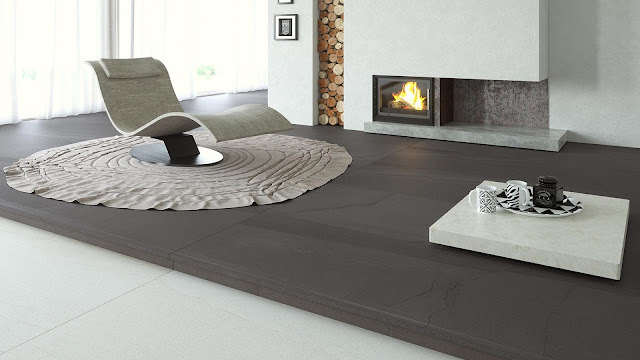 This material, traditionally seen as functional, has taken a high level of sophistication thanks to the new design technologies, allowing it to become a much appreciated decoration and composition element, both in interior design and in architecture due to its natural looking and minimalism. 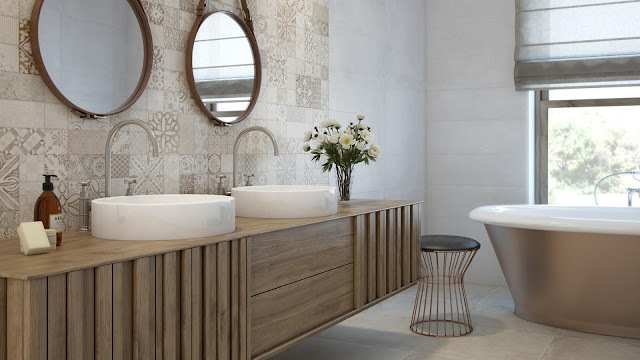 Different textures intervene in its six colours: White, Sand, Savanna, Light, Grey and Coal, transferring the sense of worn effect and fostering the industrial essence of the material, very useful in the composition of contemporary settings. 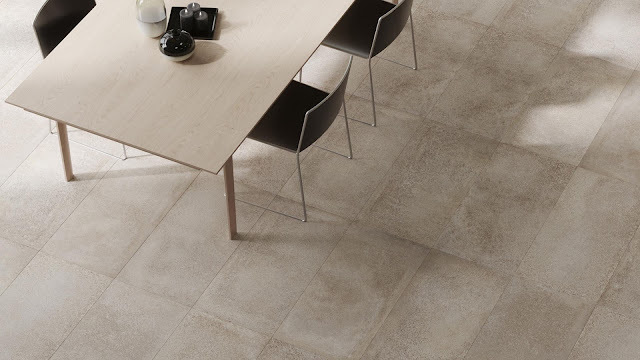 Foster is Meier in Class 3 anti-slip version for sizes 30X60 cm and 60x60 cm non-rectified. 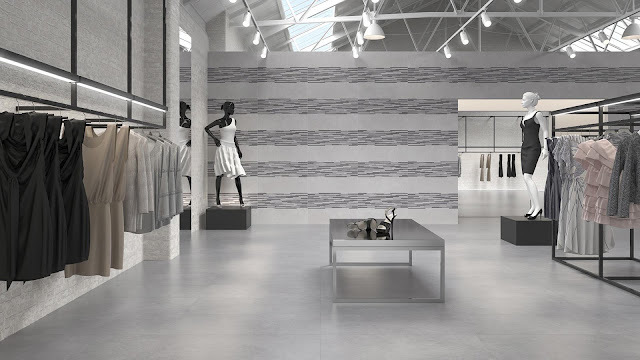 The evolution of industrial style offered by the use of chemically-processed metal sheets finds its greatest expression in the SHANON series, which combines style with being easy to fit and benefits in terms of the product’s composition and maintenance, allowing spaces to be created in which it is part of both cladding and paving. 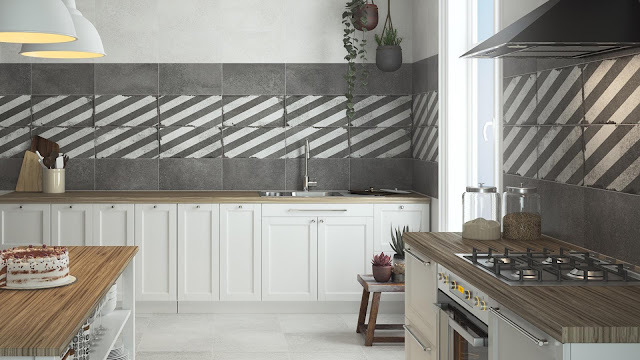 Its many different formats and shades are a faithful interpretation of the material that inspired us thanks to the latest ceramic design and production techniques that mimic metallic processes such as oxidation and corrosion. Tanum recreates the essence of the widely used industrial floor tiles in more contemporary settings. 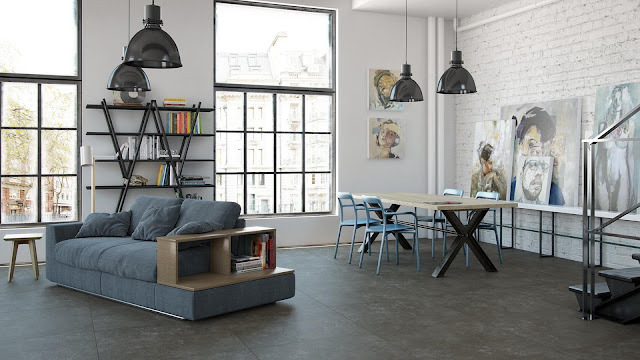 Cement is, no doubt, one of the most versatile materials when it comes to reproduce so different styles as vintage or minimalist settings. 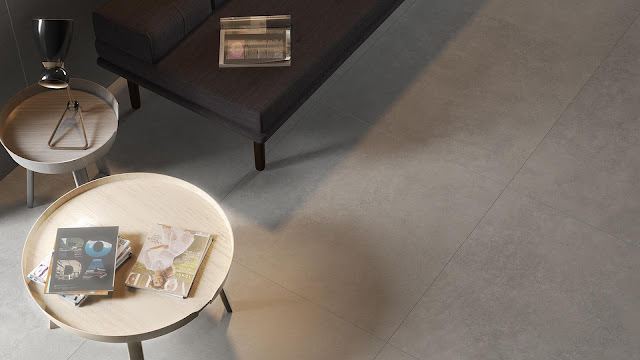 Argenta reinvents this classic in a new collection that offers solutions to all types of projects with an extraordinary range of neutral shades. In order to cover nowadays building needs, this collection is also available in anti-slip Class 3 finish (UNE-ENV 12633:2003) with the name of Musson. 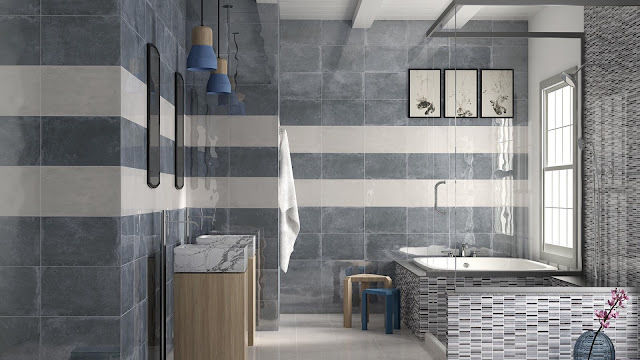 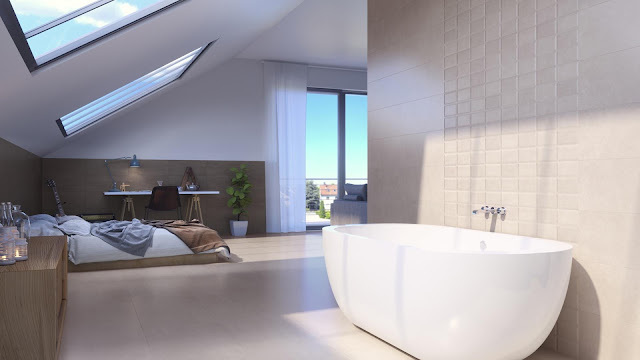 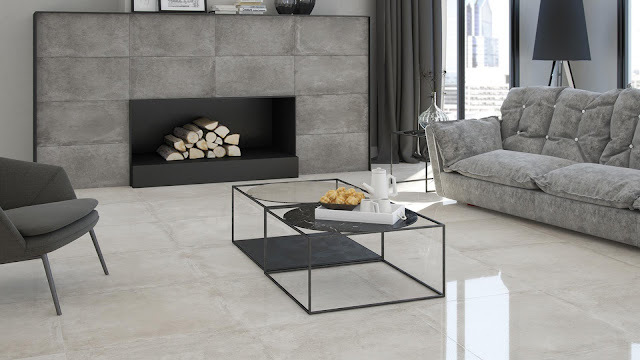 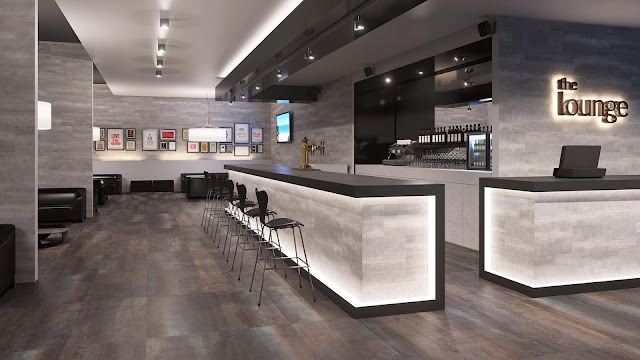 One of the current innovations developed by Argenta Cerámica is the bid for large-sized tiles, and Thames series enhances how useful these are. 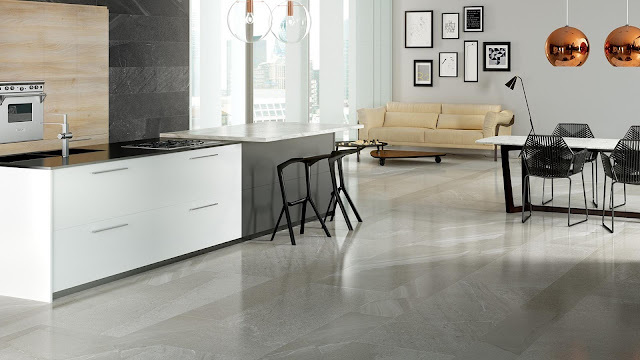 This proposal highlights the beauty of pure minerals through a porcelain series that incorporates in its design basic and neutral shades. These features recreate innate colours and textures of stone to award sobriety and elegance to any setting. This series is presented in three colours: White, Silver and Basalt, in sizes 60x180 cm, 30x180 cm, 45x90 cm, 75x75 cm, 60x60 cm and 37x75 cm. 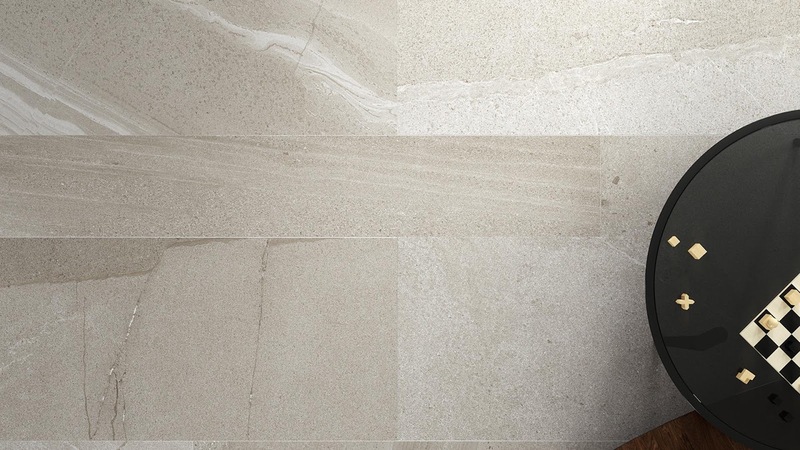 Thames emphasizes the beauty of noble materials with the innovation in large sizes.